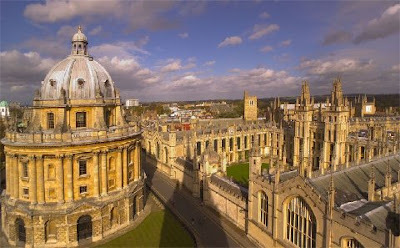 "The Now is all, it's the Now that is eternal"
A true statement; however, tomorrow I'm one day closer to seeing Oxford! err.... H.. i think the point there is that you can't live in the past or the future, you can study or try to re-enact the past, you can keep mementoes of it.......and you can vaguely plan for the future... but you can't live in them. But you forget Sir D...I'm a time traveler! It's like waking up on Eastern Time, Eating Lunch on Central Time, Taking a Piss on Mountain Time and a Nap on Pacific Time and it's all happening at 9 O'Clock! Just thought I throw this one in there to stir the pot...this is post # 666! Yikes! Sir D...are you the Anti-Christ! LOL! Oh...should that be Sir MiD-evil? Living amongst all that MiD-evil surroundings and Harry Potter Sets. Harvesting souls is a noble past time! I don't know....I haven't SEEN THAT ONE....yet?! LOL! Whatever you make real...is real! OK, so it's apparent that only a good pint of bitter is going to settle this cosmic traveler down!